If you’re generating clean energy at your home, whether rooftop solar, wind energy, hydroelectric or natural gas turbine, you likely installed these systems to conserve energy and energy dollars. 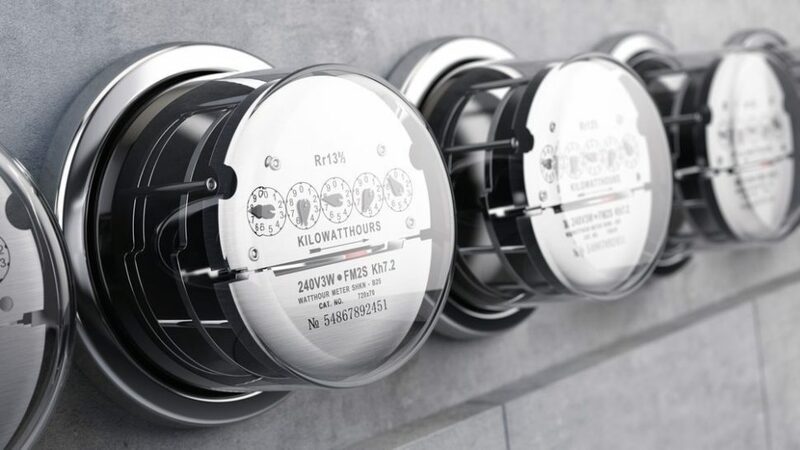 Yet, often influenced by high-dollar lobbyists, legislation limiting net metering varies widely state to state in the U.S.
Net Metering is the sale of excess energy produced by a home installation back to the power grid. In many states, net metered customers receive credits toward their energy bill and can even turn a profit when energy production stays high. Other states, like Nevada, have, at times, raised fees on net metering so high that it’s no longer economically viable to install systems like rooftop solar. So, if you want to produce your own clean energy and get credit for the energy you put into the grid, get familiar with your state’s net metering policy. Kilowatt-hour: A kilowatt is a unit of power (kW) and a kilowatt-hour is a unit of energy (kW-hr). Utility companies charge you in kW-hrs. For example, running 5 100W lightbulbs for an hour would generate 500W or .5kW-hrs. Avoided Cost: PURPA (1978) required utilities to buy power from non-utility producers at the avoided cost rate or the cost the utility would incur if it were to generate or purchase power from another source. This term has evolved with regards to renewable energy and net metering, and each state offers credit for net metered customers based on incremental cost, avoided cost, retail rates or not at all. Capacity Limits: regulates the system size of net metered installations in a variety of aspects and these vary widely across the U.S. states. Renewable Portfolio Standard (RPS): A regulatory mandate to increase clean energy production from sources such as solar, wind, biomass, and etc. (in lieu of fossil fuel and nuclear electric). Also referred to as renewable electricity standard. Distributed Generation: referring to energy generation at the point of consumption, sometimes used as a synonym for net metered customers. Click here to see an easy to use chronological map of net metering policy in the U.S.
State by state net metering policies change frequently. In fact, many states including Montana have bills in the current congressional session that will determine the future viability of net metering installations. Here’s a view of what policy changes were made in 2015, just to give you an idea of the level of activity. Arkansas, Arizona, California, Colorado, Connecticut, Delaware, Maryland, Massachusetts, Minnesota, New Hampshire, New Jersey, New York, Ohio, Oregon, Pennsylvania, Rhode Island, Utah, Vermont, and West Virginia. Florida, Iowa, Illinois, Indiana, Kentucky, Louisiana, Maine, Michigan, Missouri, Nebraska, New Mexico, South Carolina, and Washington. Alaska, Kansas, Montana, North Carolina, and Virginia. Idaho, North Dakota, Wisconsin, and Wyoming. Alabama, Georgia, Hawaii, Mississippi, Nevada, Oklahoma, South Dakota, Tennessee, and Texas. In many states, there is an arbitrary limitation on the power a net metering customer can produce and sell back to the grid. In Arizona and Colorado, a net metered customer is only limited by the size and consumption of their installation. The net metered benefits in Massachusetts are so good that you can pay back the cost of a 5-kW solar installation in just four years. It’s likely that you’ve heard of Nevada’s struggles with rooftop solar installations. If you haven’t, know that the Nevada Public Utilities Commission lobbied to change net metering legislation. First, in Nevada, utility companies are allowed to purchase energy from net metered customers at a “wholesale” rate and then sell their energy at a “retail” rate, which is higher. This lower rate makes sense for utility companies that have to spend money to maintain the power grid. Yet, the PUC continued, and recommended to state legislature that additional fees and reduced credits be added to solar net metered customers. Nevada Senate Bill 374 gave the PUC the responsibility to find a fair and suitable replacement for retail rates given to net metering solar owners, which did cause significant cost shifts which negatively impacting non-solar consumers. Opponents of the bill argued that the new energy sale rates were unfair to net metered customers, and there was even a Nevada PUC meeting that had to be cancelled and regulators had to be escorted away as angry protestors carrying weapons attempted to disrupt the meeting. Nevada is the state to watch as small-scale renewable energy disputes take place in every state. In Mississippi, the same 5-kW solar system that you could pay off in four years in Massachusetts would take you 16 years. Mississippi has consistently ranked last in terms of renewable energy policy in the U.S.